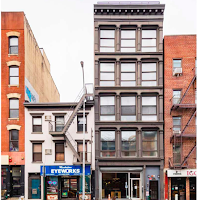 Several EVG tipsters have shared the brief details that 169 and 171 First Ave., located between 10th Street and 11th Street, are now on the sales market. Home to Momofuku Noodle Bar! 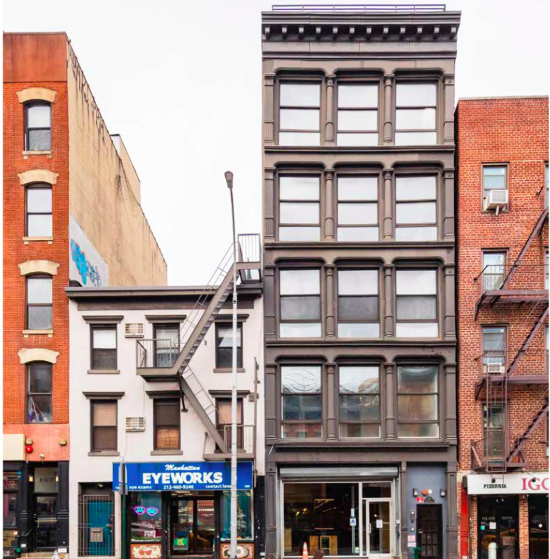 Compass is pleased to offer for sale two contiguous mixed-use walkup buildings located at 169 First Ave. and 171 First Ave. The buildings contain a total of 2 retail stores and 5 free market residential units. The Property can be sold separately or as a package. The listing doesn't appear to be online just yet. Streeteasy has one listing for a rental at No. 171, a floor-through loft-like space now asking $9,300 (and a recent $2k price chop). I always assumed those lofts above Momofuku where a coop, now we know. Gee what will all the food tourists do when Momofuku is forced out by the new owner? $10,000 per month? WTF? Also, it doesn't look like 1,800 sq ft. Ripe for redevelopment... thanks to ONE PARTY RULE. If I legally purchase land/a building, I'll work with whatever party is available. 1 party, two parties, tea parties, whatever, to do what I want, legally, with my private property. Anon. 1:42 - Yeah yeah, we get it, you're far too hip and cool to care about minor annoyances like history, tradition, suitability of scale - ya know, little things that make a neighborhood a neighborhood, and not just a clump of ugly, oversized, hulking monoliths that make the streets as appealing as a battery acid enema. Diamond Fabrics ring a bell w any of you kids? Omgosh, yes! Must have been 1/2 a mile of floor to ceding bolts of amazing fabrics in there. You had to be right next to someone to hear them speaking there—-the fabric absorbed all of the sound!! !